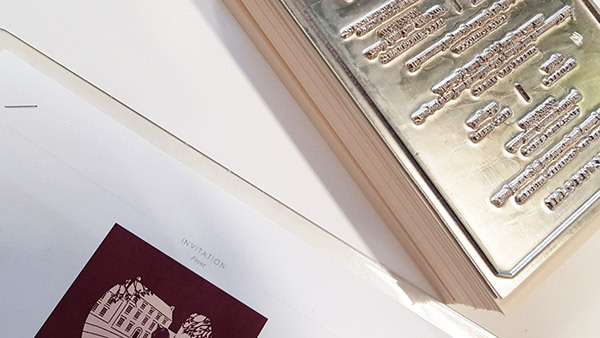 Pricing is very obviously the first and most important question we are so often asked at the enquiry stage, so in this article we aim to answer all those questions and explain just how pricing bespoke stationery works, as it’s not quite like going to the supermarket! 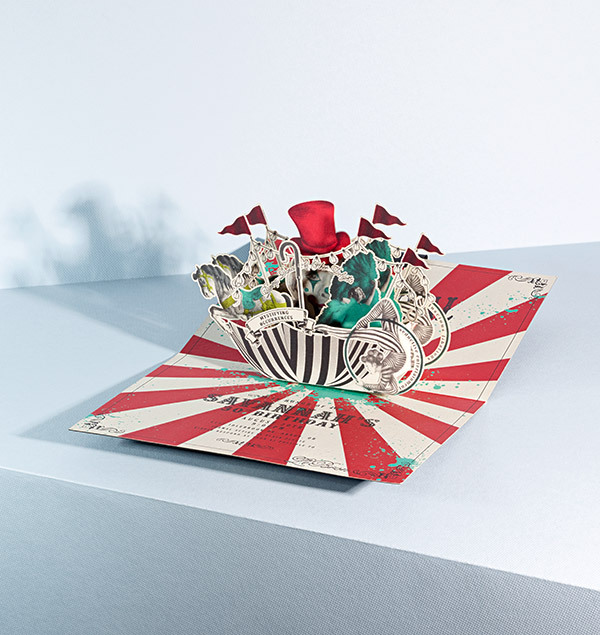 We always liken what we do to Couture fashion and tailoring, every single project is unique, therefore not bought in as retail ‘stock’, but created each and every time for the individual client (you can see from our event stationery portfolio here every design is unique). Whilst we can’t give you exact pricing here for that very reason, we can endeavour to explain how the investment in bespoke pieces is calculated and how we like to work closely with our clients to work together on creating a piece that works for you and your budget, that is the beauty of it, we can adjust to suit your requirements! We do have a new pricing page over here, where we can help you work out what items you may need in order to then create your budget. Be sure to read to the end as we also mention how pricing within the entire event industry also works, we let you know what the true value of the creative suppliers you hire are (and who you are going to need to create the event of a lifetime) and what they are going to bring you. Why is bespoke design expensive? The big one, let’s start there! Investing in bespoke means investing in something that should have longevity and individuality. 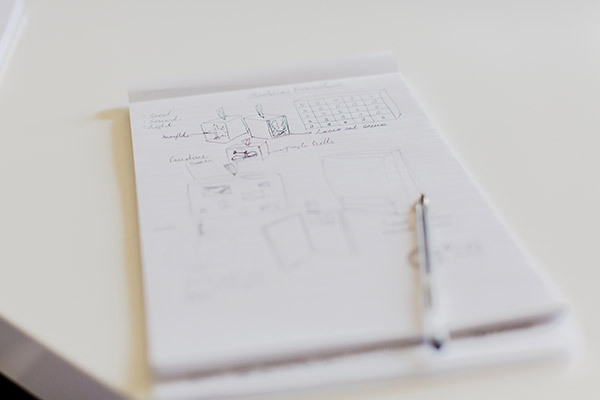 Truly bespoke work is not something that comes out of a pre existing blueprint, it isn’t just customised but created from a fresh blank piece of paper. Yes some formats are similar however each and everyone one of the formats have altering elements and bespoke illustration, more often than not an entirely new format is devised. Bespoke designers are often highly skilled in their field, experience and innovative design is necessary and alongside that, true craftsmanship is then required to produce a bespoke product (take a look at this video here just to see the making part!). You therefore have 2 areas where you are investing in, one is design, one is manufacturing. For us manufacturing is in the UK (in our own workshop) both the traditional printing techniques we use and cutting edge (sorry, no pun intended!) 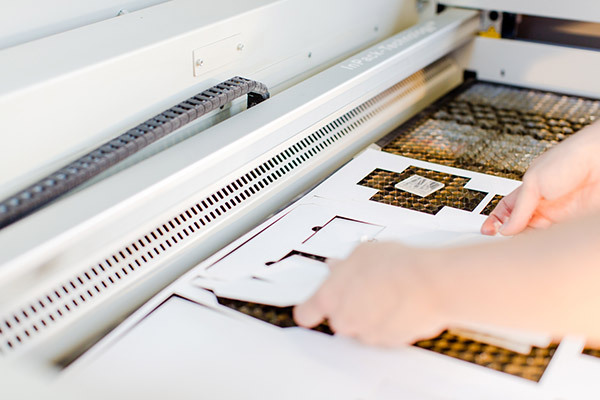 laser cutting require individual printing techniques, therefore there is no automated printing, it is often hand fed one by one. 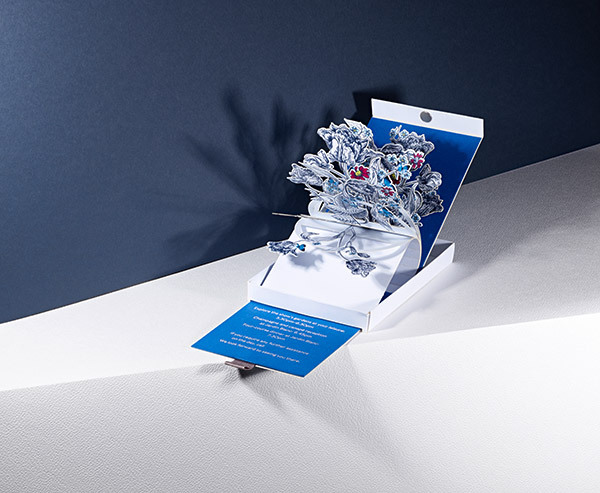 Once printed and cut, one invitation may have up to 15 parts to then assemble, each one is hand assembled by our workshop team; times that by 100 or 200 invitations that is alot of work, accuracy and time. 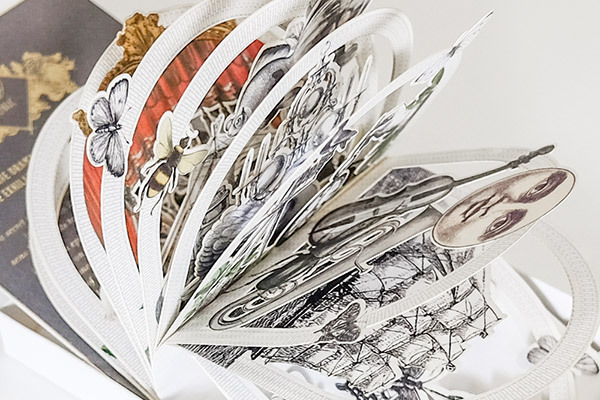 (Learn more on this process in detail, below…) Adding to that we also source environmentally responsible materials, working with some of the world best paper mills here in the UK and Europe. The result is something completely personal to you, designed with you and that will last a lifetime. Why do I have to pay for design? Design is often the unsung hero of life, something that is somewhat assumed and unseen. 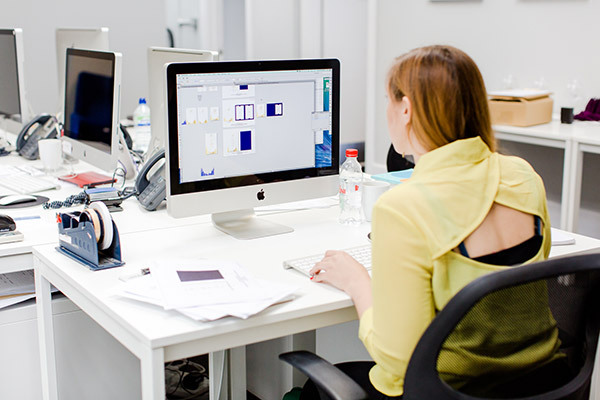 However everything you see around you is designed, be it a product or digital layout. 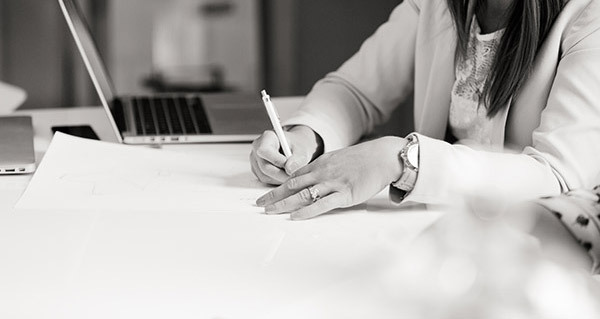 Bespoke design is a process that begins with a conversation, taking the time to extract a creative brief from our client to gather the concept and practical elements of the project. Then, we may begin with hand drawing, sketching, visualising, conception, making moodboards, then beginning illustrations. These are then digitised, layered and turned into sleek visuals on the computer. There is often a bit of prototyping at this stage when working out new formats also, often cut by hand to iron out any tweaks and to eliminate any formats that won’t work to perfect the ones that will. 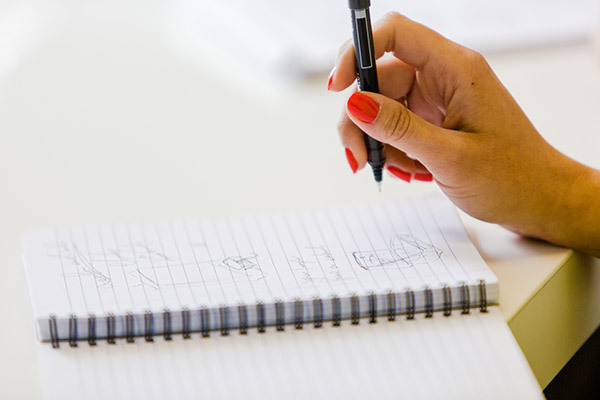 Once the products are drawn up, the presentation has to then be created, content gathered, briefs answered. Designs then need revisiting and re working until they are absolutely perfect. We tend to allocate a certain amount of days to specific projects, more complex projects can take up to ten solid days working on that one project. Bespoke design is measured in predicted hours it may take to create a certain format, we are experienced in understanding how long things take so we are often accurate here. As a guide the design stage alone, including all of the above, and the below, will be charged between £700 – £2000 depending on the complexity of the project. 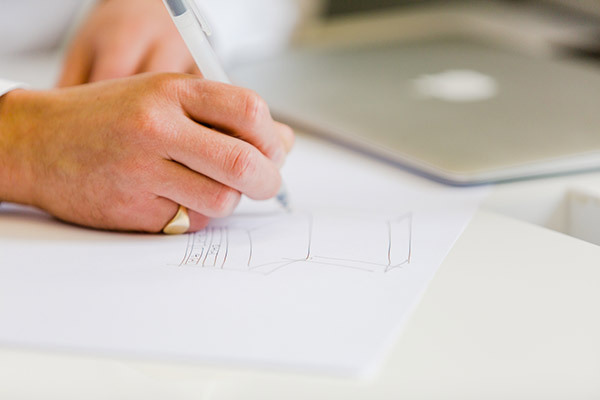 Once the design is finalised, it’s important to understand it doesn’t stop there, preparing a design presentation is totally different to preparing for print, so then the drawings are drawn up in their many layers ready for production for the various printing methods, from laser cutting to foil printing. 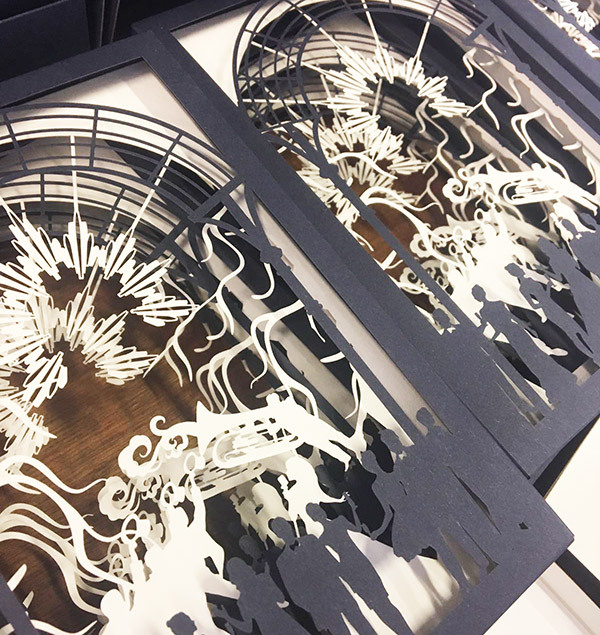 Laser cut preparation takes time, working out positives and negatives of paper cutting is a complicated process and time consuming. 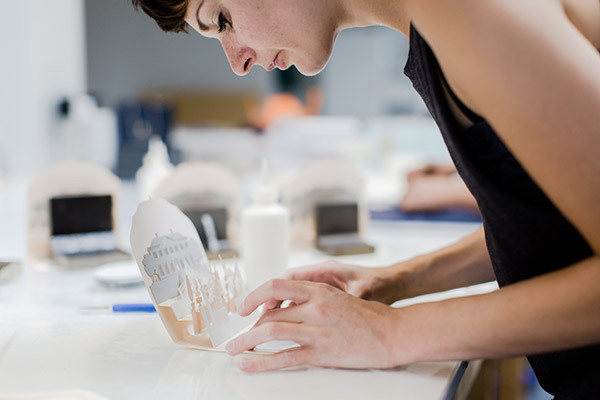 Prototyping with the final materials and printing methods is what also happens at this stage, working closely with the workshop to tweak drawings making sure that are printed and cut with perfect accuracy. In a nutshell that explains the design element of a project, it is complicated, but it is what we do and what we are very experienced at so do feel free to ask any questions you have about this part of the process. It is important to note all of the administration time it takes for our designers to ensure that your stationery is accurate and correct. If you think about place cards for example, that spreadsheet of names needs to be transformed into your place card design, the invitation may need sending to a calligrapher and then returning to be inserted in the correct envelope, the envelope addresses need to be printed and correct, filed how you wish, table plans need finalising at the last moment, possibly throwing the wording and whole design out and so on… we cannot afford to miss anything at this stage and working closely with you means a fair amount of admin and time being spent making sure absolutely nothing is missed. All of this is absolutely what you are paying for and a ‘given’ we are just highlighting where your money is going at this stage. 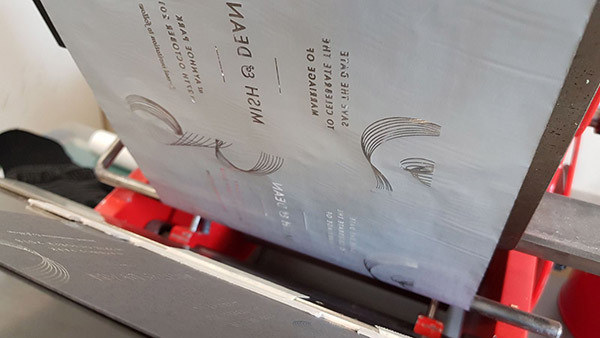 We generally have a minimum print run of 50 pieces, whilst we can physically make one or two of anything, we have our own minimum requirements from paper suppliers, printers and our own machine costs to cover, therefore we do ask for a minimum of 50. Cost wise, as a guide for invitations our overall pricing begins (including design and production) from £3000 for 50-100 invitations. The range is then vast, this is merely a starting point and guide to help you allocate budget within your overall event planning budget. Why is one type of printing more expensive than another? Different printing methods have different set ups. Digital printing like you have in the home, is automated and easy to just print 100’s off at a time. However, this is not the best quality and any specialist print, such as hot foil stamping, silk screen printing, engraving etc all have very specialist techniques that give them the quality and finish you gain from this type of print. For example, metal dies are required to create hot foil stamping, there is then no room for change or amendment without creating a new die, each is then stamped either by hand individually or on small print run machines. Silk screen printing requires a specific screen to be made up with the design set up for that one screen, again no room for change once created! Both these techniques would require individual dies or screens for say personalised names etc, which would bulk the costs up hugely. However this is where we guide you through the process to avoid unnecessary costs in places like this, or where to value these printing methods. 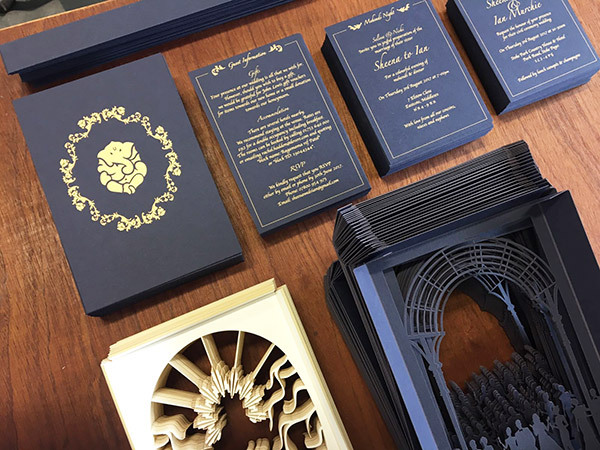 Once your invitations are designed and prepared for production, from print layups to laser cutting layups, paper stock is ordered and all the files are sent to printers and our workshop. All of the individual print processes are then set up, with metallic dies being made, or silk screens prior to printing commencing. Once the print is finished it arrives back into our workshop where we then laser cut all the different elements. 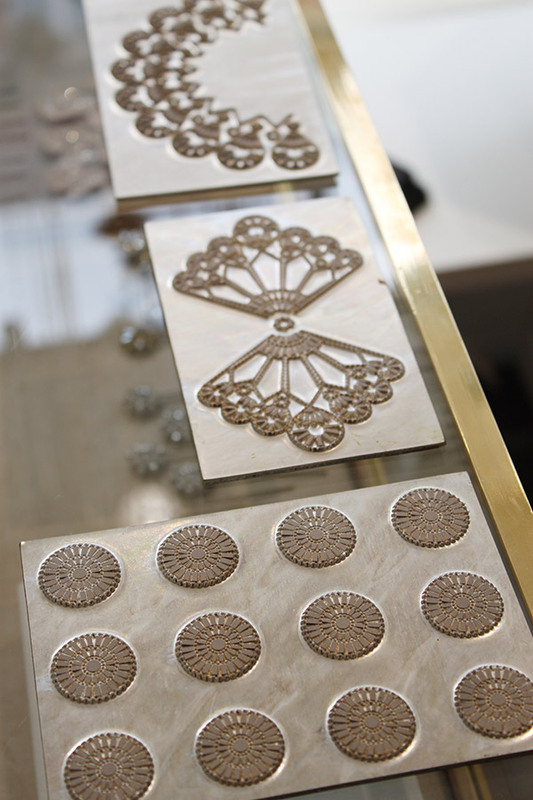 Laser cut sheets are laid up one sheet at a time divided into their layers. 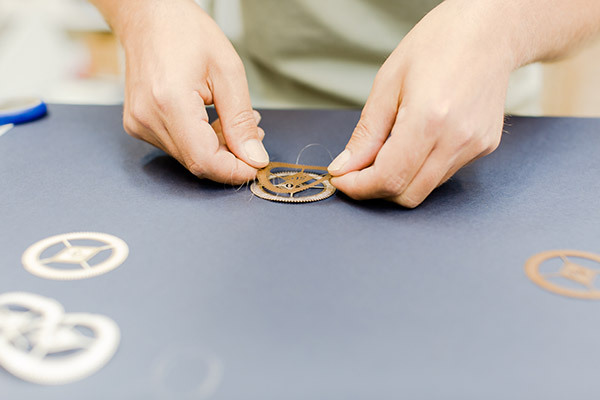 Once all of the elements are cut, it is a question of meticulously hand finishing each and every component. Often this might mean there are many parts to create just one invitation – we then have to do the same 100-200-3000 times depending on your quantities! Each element is hand folded, glued and finally assembled. It then takes a few hours just to pack the invitations safely and get them couriered out to you ready for the big reveal! Why do you need me to tell you my budget, I don’t want to give that away? Over on our pricing page, we ask that you really consider creating a budget (or as we like to call it, decide on your investment!) it really really does help us designers as it reigns us in if we want to go crazy and throw all the print processes at it! As bespoke design varies so much from individual to individual, everyone’s needs and requirements are different, one design may have a far greater budget than another. That is absolutely ok, but we have worked on projects that have cost £1,500 right up to £30,000 and even £100,000 so you can see why it’s really helpful to know what sort of spend you value your stationery at, our work is unusual and likened to pieces of art, therefore investment does vary. Some people spend the most of their budget on stationery as it’s that important to them as this is there only physical keepsake, aside from photographs (second to the dress! ), whilst others it’s less so and that is absolutely fine. We are confident we can create something magical, personal to you for any scale of budget, that is our job and we like nothing more than designing to a budget that you are happy with. It’s very sad that we still hear that when people are planning for their wedding they feel like the event industry is adding an extra 50% as soon as you mention ‘wedding’, I had thought this had left our industry years ago and if you are feeling this, that’s maybe because you are looking in the wrong places. 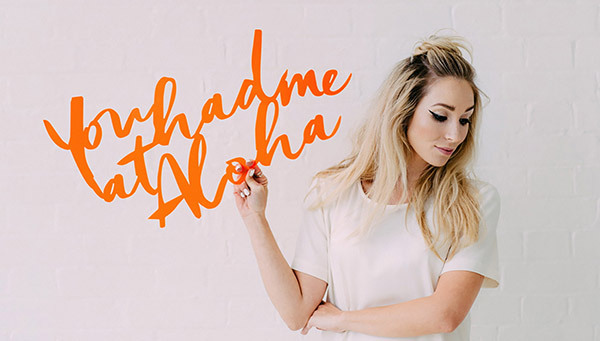 I can recommend the following sites where you can find a whole host of amazing creatives who only want to create something wonderful for you on your day. The suppliers you find on there, well, their pricing is their pricing for a very good reason, for instance, photography is not you just paying for a few hours in one day. That photographer also has days of planning, meeting with you, coming up with ideas, possibly a pre wedding shoot, taking shots on the day, days and days of editing afterwards, presenting them to you, the processing and producing your imagery in amazing albums they have sourced for you – I’m sure there is more there too! The florist isn’t just working on one day, days of design and consultations, designing and working out logistics, early morning market calls, an entire team to transform a space alongside tight time constraints, de rigging it all etc etc. The caterers, tastings which have had a team working on them and ingredients bought for that one meeting, design time, development time, logistics to work out, a team of chefs and waiting staff, details to think about, food to order, on the day logistics, packing up and cleaning contracts to sort! The list goes on, but please rest assured, everyone mentioned on those sites or suppliers we recommend as passionate about YOU and only doing the best job for you. You are also hiring their experience and expertise, events are logistical and emotional challenges, these suppliers only want to HELP you by bringing you their experience along with their talent. I really hope that has helped de mystify bespoke pricing for you, for a guide on our own bespoke design pricing head over to our newly created pricing page, as you now know it really can be as long as a piece of string, so be as detailed as you can be when asking for quotes, take all of the above into consideration and most of all, know that if you are ordering with us we truly are creating pieces of art worth investing in, the emotional response you and your guests will have when you send them something so special is truly, priceless. Fonts and Typography - know your Serif from your Sans Serif!